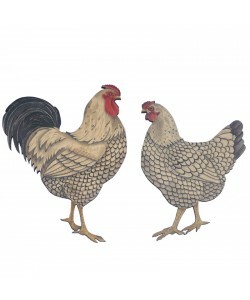 My Wyandottes are extremely popular for kitchens, particularly for the space over the Aga or oven. They work well separately, but truly come into their own as a pair, making a real, but still subtle, statement. A valuable addition to any kitchen. 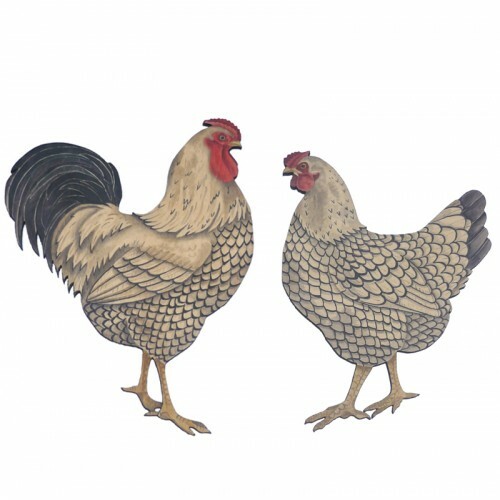 The Cockerel measures 32cm x 39.5cm and the Hen measures 28cm x 33.5cm.